The gin renaissance is still going strong and continues to be the on trend drink of the moment with flavoured gins being on the rise. 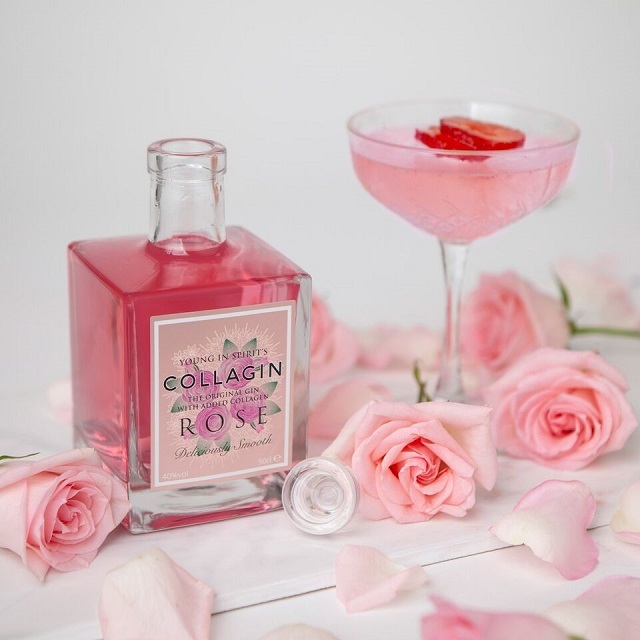 Here are some ways to include the nation’s favourite drink in to your wedding day courtesy of Liz Beswick, Co Founder of Collagin. 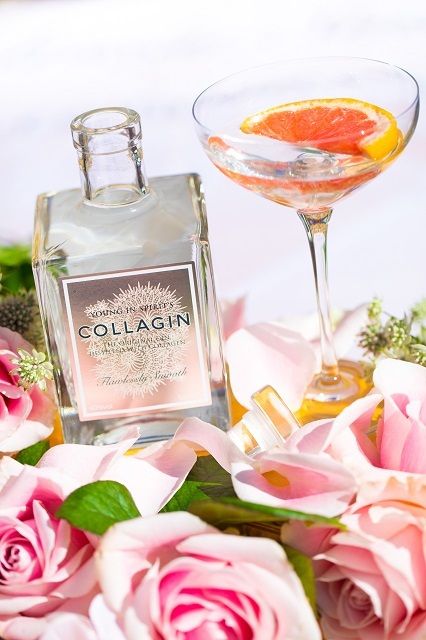 She married on World Gin Day in June 2017 and had her business partner Cam Brown running the Collagin bar on the day. 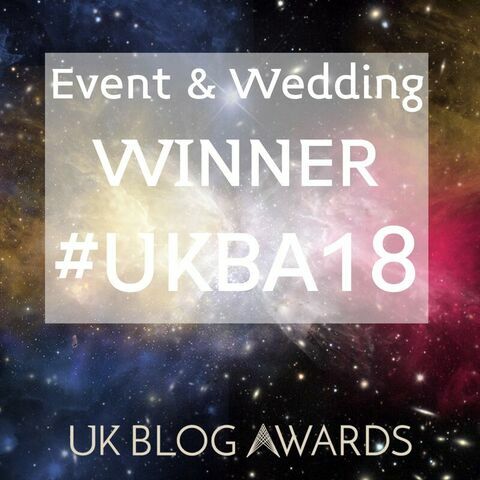 This, paired with insider tips and feedback from other brides she has helped, means Liz knows a lot about making a wedding a gin filled event! Everyone loves the personal touch at weddings and this is often what people remember about the big day. 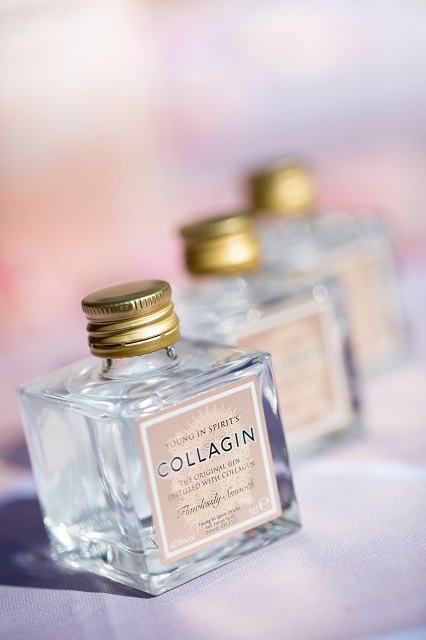 Put gins on the tables or behind the bar or even as wedding favours that you know your guests love. 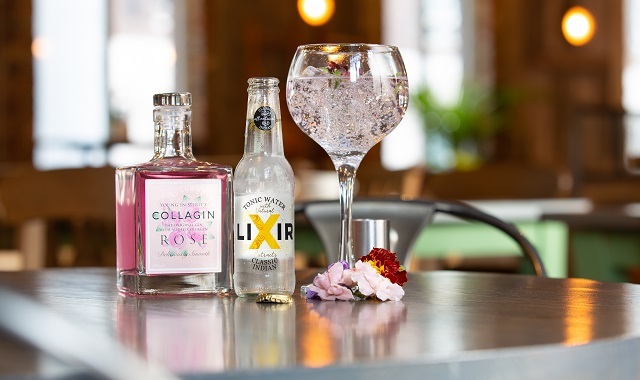 For example, place a mini bottle of Salcombe gin for Jack on table 9 to remind him of his childhood holidays but put a Cotswolds Gin for Julie on table 4 to remind her of THAT drunken hen do. The guests will be so touched by your gesture and the effort gone into knowing and thinking about your guests. If you don’t have budget for personalised wedding favours, place gin bottles behind the bar with note tags on them explaining why you chose the gin. Or even better, create cocktail lists based on names of your guests or on your favourite places or memories as the bride and groom. 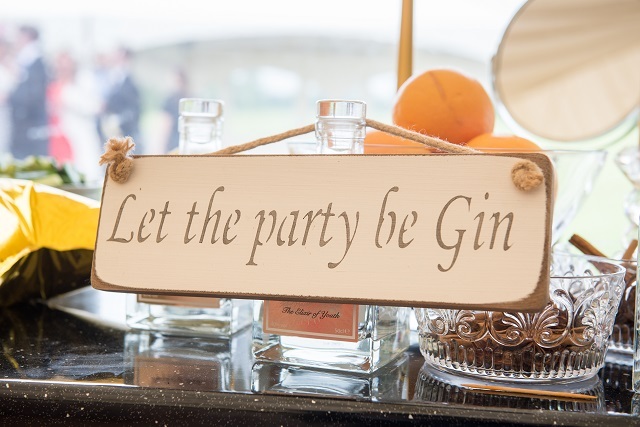 Everyone has seen all the major gin brands at weddings, so to get people talking, and to make your wedding décor or bar look different and to stand out, feature gins that people don’t see every day. This will grab attention and intrigue. Plus it will be very funny to get photos of Auntie Carol doing shots of Collagin with bridesmaid Beth after discovering the new tipple at your wedding. It might then become her favourite gin and will always remind her of your special day. Stack them into pyramids, decorate them with glitter, relabel them with your initials or wedding logo. Whatever you do to your gin, make them Instagrammable! If you are getting your invites designed, the same designer could create labels to stick on to gin bottles featuring your wedding design and initials or your wedding date and use them as table numbers. Collagin LOVE getting emails from brides. 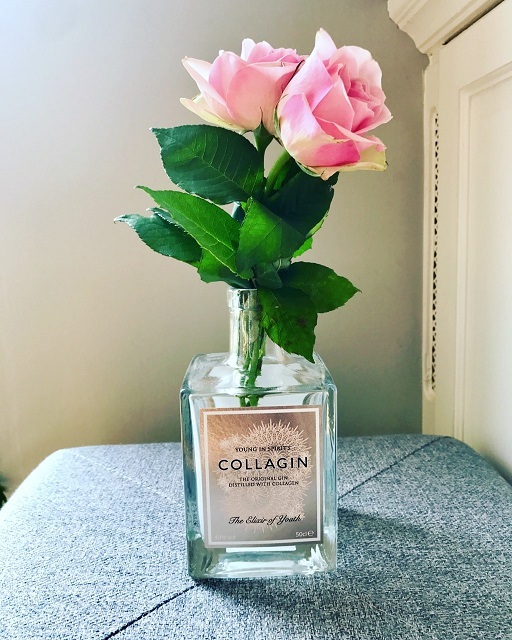 If they know you are using Collagin for décor or behind the bar at your big day, they will offer trade prices or save up their empty bottles and send them to you. Tonic waters might do the same (the smaller the brand the more likely they are to help or be less rigid with prices!) Just explain you are a bride to be and see if they can offer reduced prices for a larger order or in exchange for lots of pictures from your wedding album. There is no harm in trying! This also works for hen do orders. Most importantly, make sure YOU the bride and groom get a drink. It is amazing how everyone assumes you are catered for but are often the last to get their food and drink at their own wedding. So, if you are looking to drink on the big day, ask your Maid of Honour to make sure you are saved a glass of your favourite G&T. 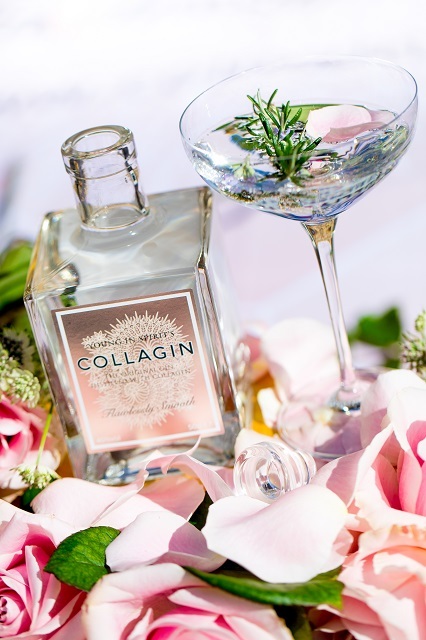 Young In Spirit is the world’s first alcoholic drinks company to combine spirits with collagen, with the first drink being Collagin – gin with added collagen. 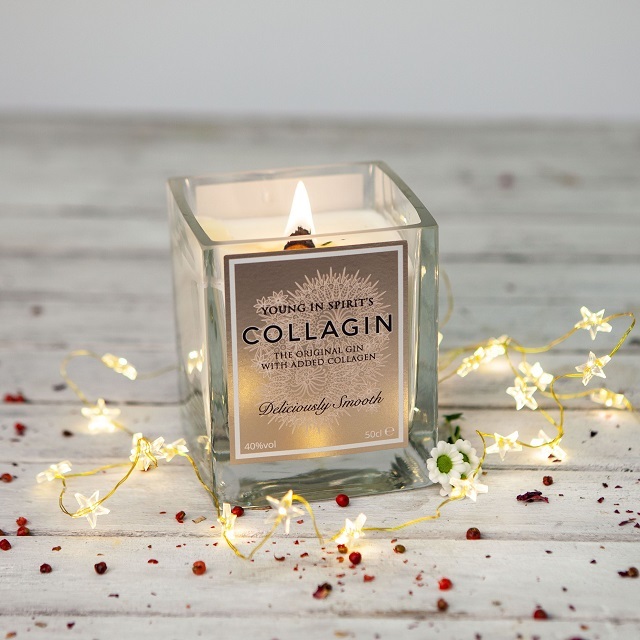 The people behind the idea are gin and beauty lovers and Oxford based ‘Gintrepreneurs’ Camilla Brown and Liz Beswick who recently snared two Dragons’ in the Den.